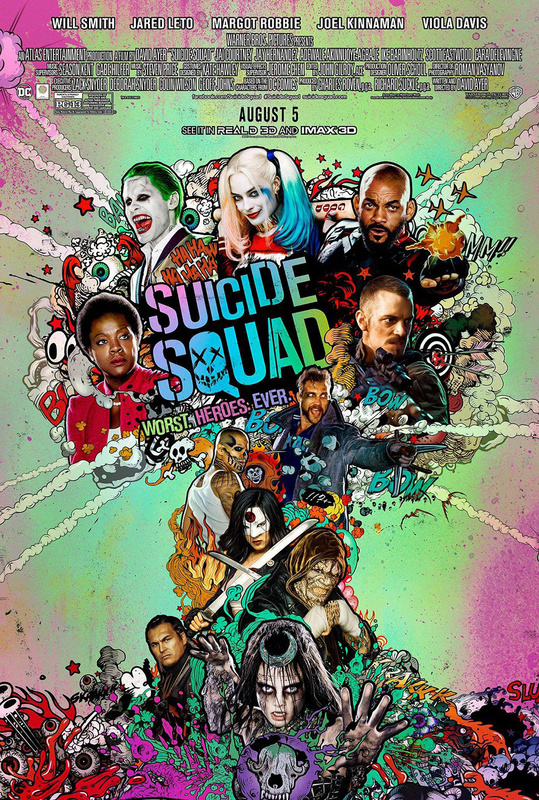 With the exception of “Star Wars: Rogue One,” David Ayer’s “Suicide Squad” has been my most anticipated movie of 2016 since the first footage was released at last year’s San Diego Comic-Con. Though there was certainly reason to be concerned following the disaster of “Batman v Superman: Dawn of Justice” and rumors of production troubles, the consistently excellent trailers – which promised a fun, irreverent comic book film in the same vein as “Deadpool” and “Guardians of the Galaxy” – helped quell those fears. Unfortunately, you can’t judge a movie based solely on its trailer, and that could not be any truer as far as “Suicide Squad” is concerned. Although it’s not as problematic as Zack Snyder’s superhero face-off, it’s just as disappointing, if only because it had the potential to be better. Following the death of Superman, A.R.G.U.S. director Amanda Waller (Viola Davis) has created a contingency plan to deal with future metahuman threats in his absence: a covert team comprised of the world’s most dangerous criminals to carry out black ops missions for the government in exchange for reduced prison sentences. Led by no-nonsense soldier Rick Flag (Joel Kinnaman) and implanted with explosive devices in their necks to keep them in line, the codenamed Task Force X – which includes sharpshooter assassin Deadshot (Will Smith), Joker’s deranged sidekick Harley Quinn (Margot Robbie), pyrokinetic gangster El Diablo (Jay Hernandez), Australian jewel thief Captain Boomerang (Jai Courtney) and reptilian-skinned cannibal Killer Croc (Adewale Akinnuoye-Agbaje) – is sent to rescue a high-value target who’s stranded in Midway City after it’s turned into a warzone by a powerful witch called Enchantress (Cara Delevingne). Throwing a wrench in Waller’s plans is the Clown Prince of Crime himself, the Joker (Jared Leto), who sets out to save his beloved Harley amid the ensuing chaos. Every movie trend has its fans. Monster movies, disaster movies, chick flicks, tearjerkers, conspiracy thrillers, they all have people who love them regardless of their financial viability at the box office. No one, however, misses the biopic, films based on the life of a famous person. In fact, after “Walk the Line” and “Ray,” people were so done with biopics that most people passed on arguably the best biopic of that era, even though it expertly lampooned the biopic structure and had a damned good soundtrack to boot (“Walk Hard: The Dewey Cox Story,” we still love ya, baby). To further prove this point, earlier this year, Clint Eastwood’s “Jersey Boys” sank like a stone, despite the fact that the musical of the same name sells out everywhere it goes, and last year’s Princess Diana film starring Naomi Watts fared even worse. No one misses the biopic. Everyone misses James Brown, though, which is why “Get on Up: The James Brown Story” has something those other movies didn’t: instant swagger. It actually has a couple of things the others don’t, namely a non-linear timeline that would give Doctor Who pause, and it does the unthinkable by occasionally breaking the fourth wall, at times to hilarious effect. 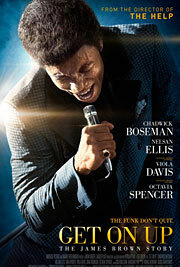 The story line is too slight, opting for depth of event coverage over depth of character, but thanks to a, um, showstopping performance by Chadwick Boseman, “Get on Up” is quite entertaining despite its flaws. It is also genius counterprogramming to this weekend’s box office juggernaut, “Guardians of the Galaxy.” Someone at Universal should get a bonus for that decision alone.